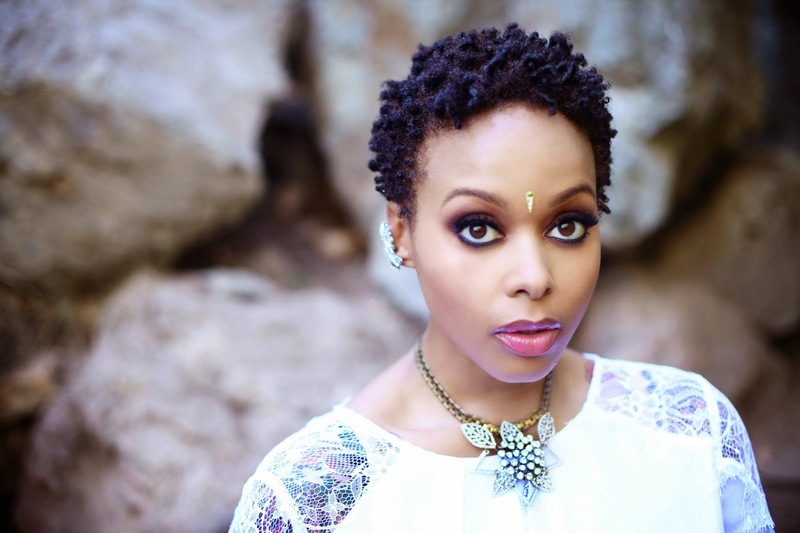 We all know Chrisette Michele from putting out great soulful music, her amazing range and melodic tone that comes out of her mouth as if its her regular way of speech. 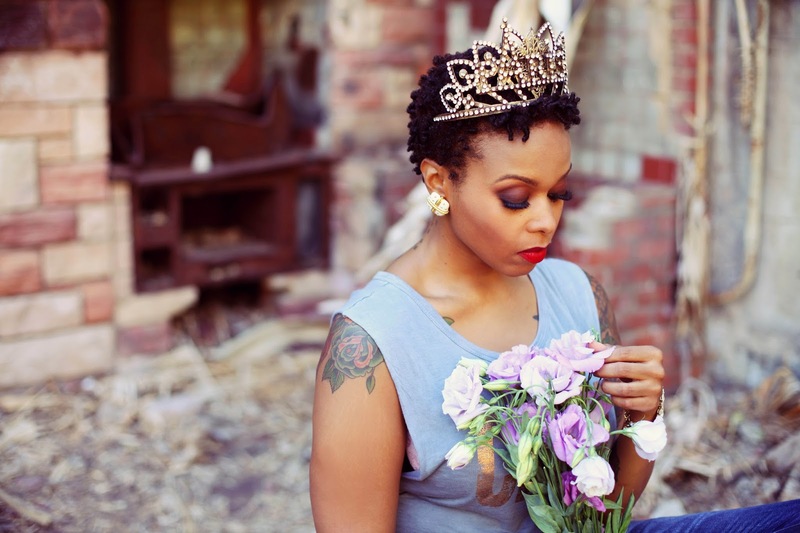 She has grown gracefully and has come into her own comfortable style, which includes her fashion, her art, and her presentation of all things Chrisette. Her blog Rich Hipster embodies all of these elements and come together into this great mosaic of talent. She's currently working on many projects, so I was excited she had time for this interview. Her current music project Lyricist Opus, putting together Rich Hipster, staring on the current season of R&B Diva's LA, and much more, we had many things to talk about. Queen What kind of experience do you want your visitors to have on RichHipster.biz? 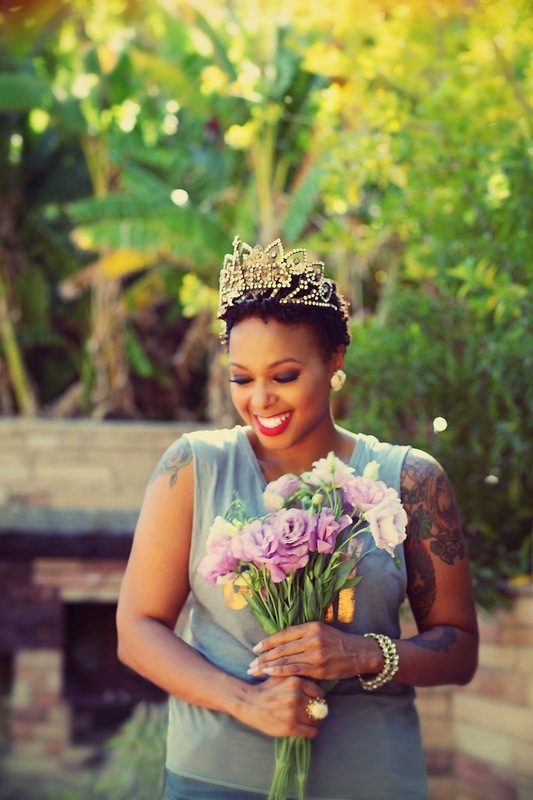 Chrisette Michelle I want them to feel kinda like it's a little bit of a getaway, like they've joined a squad of happy nerds, people who aren't afraid to laugh and smile a little bit. I know that there's a lot of different places you can go on the internet, with Rich Hipster, I want people to feel rich, rich in their hearts, rich in their culture as well. Q What mood will your next project Lyricist Opus have? C Oh my God, do you want to know a secret? This is seriously top secret, I was hanging out in a coffee shop in Brooklyn and I had this big weird book out, that this lady made for me and I just started writing stuff down. I told my mom about this idea, I said mom, I want this idea to be connected to a blog. Start a blog and then connect this music to it; and then I called another friend and said I wanted to connect it to the T-shirt line then all of a sudden I have this lifestyle piece. I think it had a lot to do with the place I was living in. I was in Williamsburg Brooklyn for a year, I had fallen in love with that community and atmosphere, the whole vintage store, nerdy glasses, the shoes. Just the fun, what I call rich hipster vibe, and I decided that everything I created from that day on was gonna come from this place because that was the first time that I felt at home. So, what you're getting right now is home. . . .when you find your truth I think that the mid set just comes with it, and Rich Hipster is my truth, it's the first time that i'm not afraid, the first time I am being really brave, fist time I'm kinda showing you everything about myself. C Long Story short-First of all go to RichHipster.biz everybody, and check out the making of Super Chris its one of the first pieces from Lyricist Opus, I wanted to see higher strings, I wanted to see horns, I wanted to have a live piano player on a grand piano. I love machines, I love programmed music but I also love live instrumentation. So, I knew that the record label would not pay for that, I knew that they wouldn't take out a hundred thousand dollar budget or five hundred thousand budget, which is what i'm use to when i'm making my albums, to make something with live instrumentation. so I decide to use the platform I had on R&B Divas LA to show what it looks like when musicians come into the studio and create. It was really exciting for me to show that there are brown skin girls who have a liking and taste and education in the music business, and music in general and show people what it looks like. This is more of a documentary experience, this is more of a, what music looks like experience, than it is an album project, but it's also real music. I really can't wait for everybody to feel it, and to see it when they see the ballerinas dancing in the videos. Q What inspires you to make music that inspires me? C Surroundings, different places like the beach, cities like Paris, people, people watching. You know, Just the atmosphere, scenery. I'm very stimulated by visuals, you know, traveling seeing different things and people, the water, clouds. Those things inspire me, that's my gospel, nature. Q Reality TV. . . one way it's hindered your brand, and one way it has excelled your brand? C Vulnerability is who I've been since I walked into this industry, I've never been afraid to be scared in front of you guys, never been afraid to tell you when I was nervous I've always voiced these things, and I think that people honor that. So the reason I don't think reality TV has hindered my brand is because I think you guys are used to me being honest. One thing it did which was a pro. . . .seeing me honest in person and these faces I would make when telling the truth might have helped you understand that I mean the things that i'm saying when i'm afraid, or when I'm nervous or excited. . . . .it's been really a positive and i'm really grateful for the opportunity. Q You promote women's positivity, what happened in your life that made you want to take an active role in that? C I'm Kind of stuck in that role, my mom was an activist, when I was a kid she would take in all different kinds of people from battered women to children, we had an eight bedroom house, she refused to let any of those rooms to go to waste, she only had three kids. There were always children or mothers living in those rooms, So, I guess I kinda just took on her calling, you know. She kinda passed the baton, and I kinda have no choice but to be just like my mom, the apple doesn't fall far from the tree, it's kinda just what I learned growing up. C Gosh! I have so many right now, India Arie is one of them we started out signed at the same label but she came out to see me perform, by mistake she didn't even know I was going to be there at an open mic night, and she took me on tour with her, and she's been my mentor ever since. Iyanla Vanzant is another person that I speak to often and get advice from, Pattie Labelle, Lionel Riche. These are people that I've met along the way, back stage and they decided to give me their phone number and I've kept in touch, they have been very helpful in my life.